Weapon Stats & Strategy for Guided Missile in Fortnite. Read here to find information about the damage(DPS), rarity, and reviews for Guided Missile! The Guided Missile has been vaulted as of the v6.21 update. This article will be updated when it returns to the game. 74 400 1 55.5 2.4sec. 77 400 1 57.7 2.2sec. 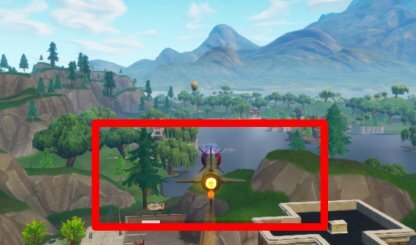 Guided Missiles are best used in Duos and Squads since you will be vulnerable once you enter the guide mode after firing. Guided Missiles are best used for long range since they can fly for several seconds and can act like a drone for scouting. As the name states, Guided Missles require navigation after it has been fired. This will allow you to not only select our target after firing, you can also use it to scout ahead of you. Missile speed is slower compared to other rocket launchers making it easier to navigate. However, there is a chance that enemy players can destroy the missile mid-flight. Use this to scout the area as well as to find the best target to hit. It's also possible to detach from missile view so that you can change positions and just let the missile continue the flight. 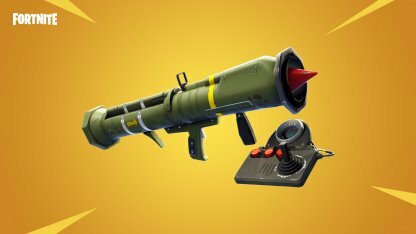 Guided Missile operators will be defenseless after entering guide mode so it's best to use it in Duos or Squads where you have teammates to keep an eye out for you. Highly effective against Wood and Stone structures. Teammates can ride a guided missile so it's possible to surprise enemies by dropping an ally in their midst.